From acclaimed author Charlie Donlea comes a twisting, impossible-to-put-down novel of suspense in which a filmmaker helps clear a woman convicted of murder—only to find she may be a puppet in a sinister game. The Girl of Sugar Beach is the most watched documentary in television history—a riveting, true-life mystery that unfolds over twelve weeks and centers on a fascinating question: Did Grace Sebold murder her boyfriend, Julian, while on a Spring Break vacation, or is she a victim of circumstance and poor police work? Grace has spent the last ten years in a St. Lucian prison, and reaches out to filmmaker Sidney Ryan in a last, desperate attempt to prove her innocence. As Sidney begins researching, she uncovers startling evidence, additional suspects, and timeline issues that were all overlooked during the original investigation. 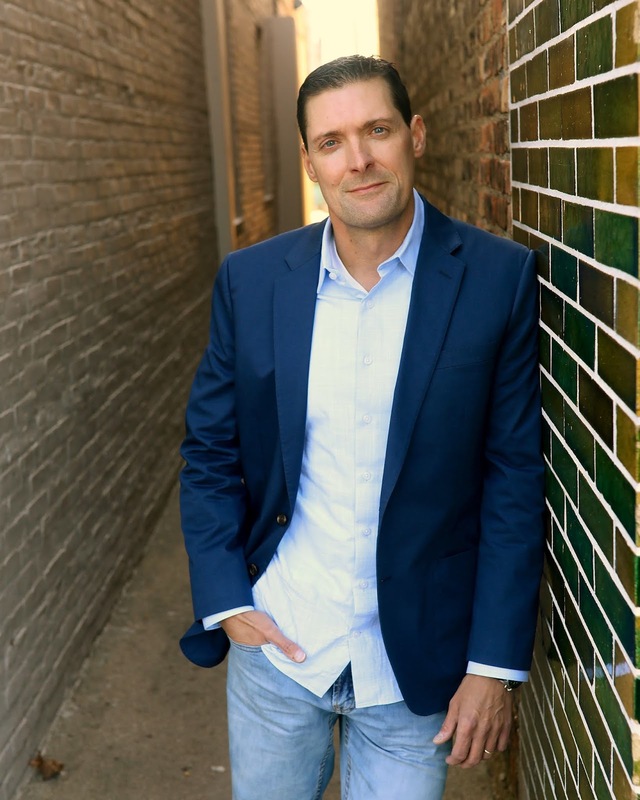 Before the series even finishes filming, public outcry leads officials to reopen the case. But as the show surges towards its final episodes, Sidney receives a letter saying that she got it badly, terribly wrong. Sidney has just convinced the world that Grace is innocent. Now she wonders if she has helped to free a ruthless killer. Delving into Grace’s past, she peels away layer after layer of deception. But as Sidney edges closer to the real heart of the story, she must decide if finding the truth is worth risking her newfound fame, her career . . . even her life. Charlie, what’s the story behind the title of your book? My editor and I have created a little theme of fighting over the titles of my books. 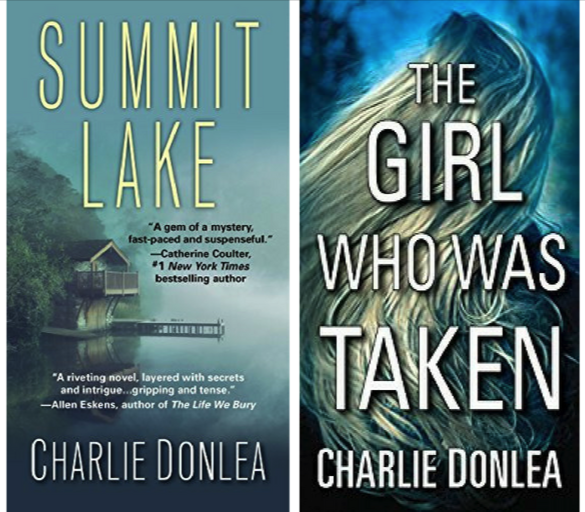 We went back and forth on my first novel, and he finally won the battle with the title Summit Lake. Another war ensued over the title of my second book. He won again, with The Girl Who Was Taken. I grew to love each title, but was prepared to dig in my heels for the fight over what to call my third book. But just as I started brainstorming title ideas, my editor sent me an email. 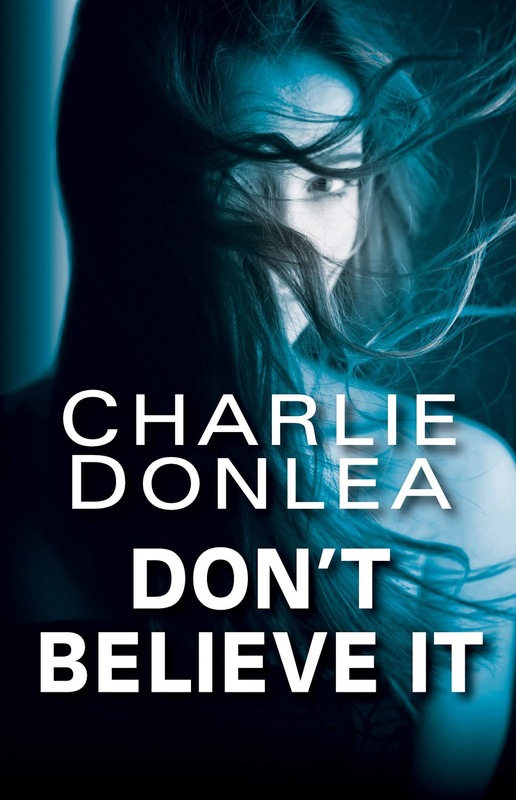 “What do you think of Don’t Believe It?” he asked. Damn, I thought. That’s good! It captures perfectly the did-she-or-didn’t-she question that runs through the entire story. So, we went with it. No fights. No arguing. What’s one thing that you wish you knew as a teenager that you know now? That formal education is important, but does not have to dictate what you do or where you go in life. Writing the first sentence of my next novel. How did you meet your wife? Was it love at first sight? We met in college. Yes, it was love at first sight for me. For her? She didn’t even notice me. “Have you ever made love on the beach?” –Mitch McDeere’s wife asks him this in the closing scenes of The Firm. Mitch scrambles to say no, but of course he has. The line is a great reminder of how much The Firm actually changed him despite his efforts to fight against everything it represented. The Firm is my all-time favorite suspense novel. What would your main character say about you? How did you create the plot for this book? I’m a huge fan of True Crime. From Serial to Making a Murderer, I’m an addict who can’t stop listening to podcasts and binge watching documentaries. So I came up with the idea of a protagonist who is true crime documentarian looking into a gruesome murder from ten years ago. She ends up producing a television series that becomes the most watched documentary in history. The only problem is that what she ultimately uncovers about the decade-old crime is not exactly what she, or her network, planned on. One of your characters has just found out you’re about to kill him off. She decides to beat you to the punch. How would you die? She’d give me have a heart attack after a computer glitch causes me to lose my 500-page, nearly finished manuscript the day before my deadline. John Grisham, Nelson DeMille, Daniel Silva, Gillian Flynn, Denise Lehane, Mary Kubica and Carl Hiaasen. that I did with Mary Kubica during a book signing. Look it up on YouTube. 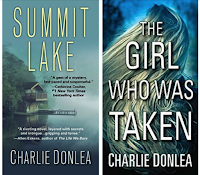 Charlie Donlea is the USA TODAY and International bestselling author of Summit Lake, The Girl Who Was Taken and Don't Believe It. He lives in Chicago with his wife and two young children, where he is busy writing his next novel.